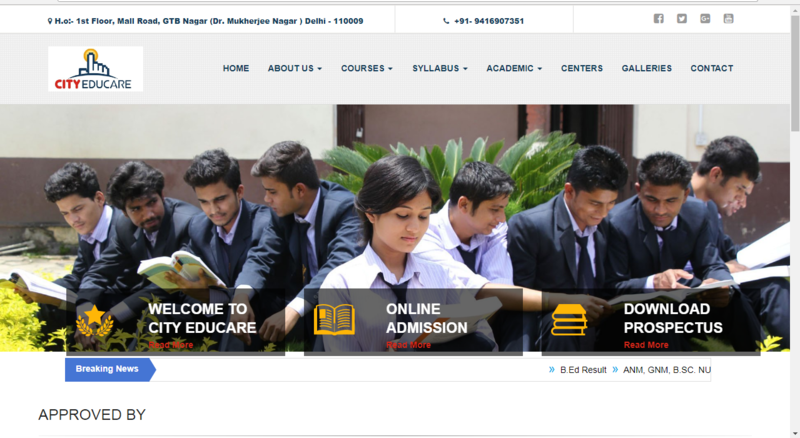 ,The main features of this website is to attative design for student who is willing to take the admission in B.ed, D.ed etc, We have also Put the admission form to get details of student. requires an ideal mix of free-thinking innovations and moderate polished methodology. By working with training web-promoting experts, you will have a more noteworthy effect on the many individuals who will find out about you first through the Internet. Max Vision Solutions has design and develop his website on WordPress to fulfill his both requirement of design and development. He can Customize every element of his website with our truly custom website design process.We understand COLLAGE ADMISSION IN EDUCATION SECTOR business goals and we're helping hundreds of advisers to build a compliant website that looks great and generates leads.